AudioBooksNow is next generation innovative book reading platform for users who love reading digital books. 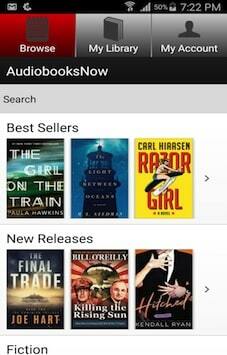 The AudioBooksNow is a whole new way to enjoy reading while road trip or long commute. Simpalm has developed both iOS, Android and Nook app versions of AudioBooksNow with custom Audio Player and Book Narrator that make a story come alive to provide enjoyable book reading facility. AudioBooksNow comes with large selection of bestselling and classic titles of famous digital books. 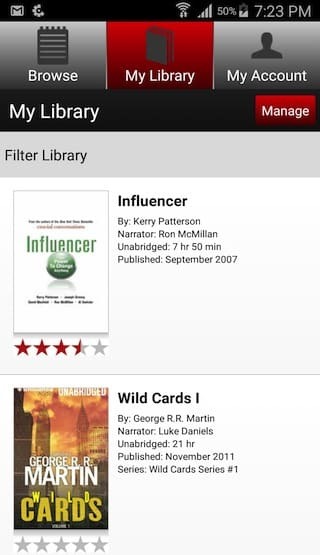 User can search Audiobooks, app will display bestselling books from various category. 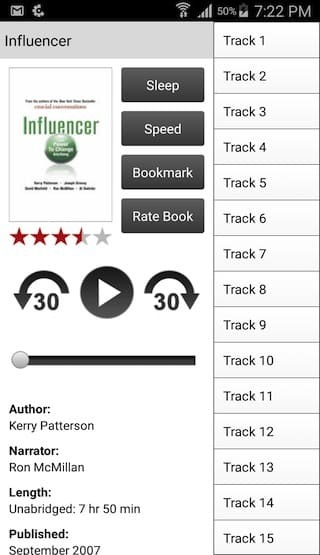 User can filter & sort audiobooks based upon downloads, rating and bestselling. 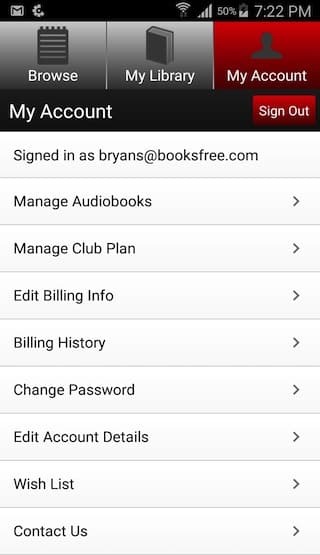 User can purchase and download their favorite Audiobooks. App is implemented with local storage and app will store Audiobooks within the app. User can auto bookmark wherever they want. User can add Audiobooks to their wish list. User can rate audiobooks after listening. This app also have manual bookmark labeling feature. This app allow listener to sync Audiobooks and bookmark across multiple devices. Custom audio player to play any chapter of audiobook. User can jump forward or back 30-second buttons within the player. User can manage their account. This project was complex in terms of broad level of functionalities with strict deadlines to deliver native iOS and Android mobile applications. 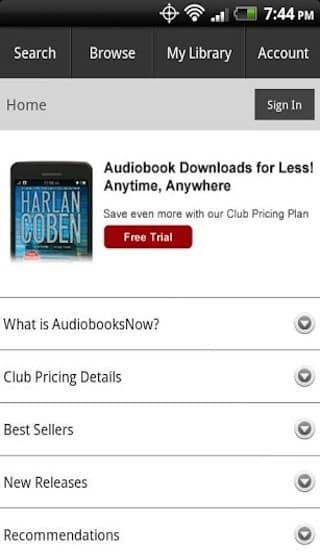 Client wanted us to streamline app with responsive interface to quickly make purchase, download and play audiobooks with or without Internet connection basically called data/file synchronization and play any chapter of audiobook by custom built in audio player. We have implemented robust in-app purchase, data synchronization, and custom audio player to make efficient searching, purchasing, downloading and audiobooks playing. This project was one of our big success and honor to work for education industry. Simpalm was able to reproduce our apps for native Android and iOS, which was a breakthrough in many ways. It made the apps work more efficiently, and it gave us a codebase, which could be picked up by a different developer easily. They did a phenomenal job of translating our existing apps into their respective native versions. Simpalm worked on a fixed-cost basis, which was ideal from our standpoint. We knew that they would finish the job without any cost fluctuations. We are extremely happy with the service and deliverables provided by Simpalm. They deliver wonderful mobile applications on tight timelines for very competitive pricing. Simpalm is highly recommended to others. 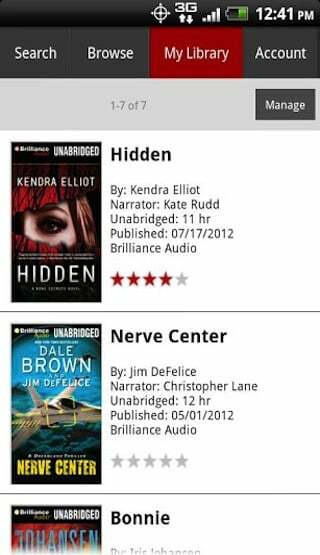 AudioBooksNow has Audio Streaming, Downloading, Searching and Syncing Capabilities .